pierced parts, ship’s boat parts, applique, ladders, guardrails, jigs and fixtures. Limitations of size and intricacy, weight, toxic chemicals, cost. 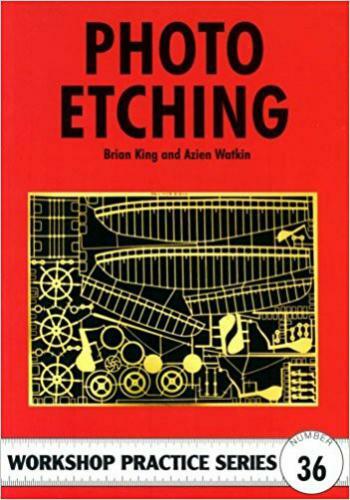 to denote half etching, instructions to industrial etcher, drawing for home etching. using the computer accuracy to fit parts together, storage of components. board or CAD and electronic transfer. Properties of a circle, triangle, frustum of a cone, true length of a line.